The Australian national language is English and it is this language which is spoken freely as a first language by the majority of the country’s inhabitants and is the official language of government and education. There is no need to translate English to Australian as there is no significant difference between the English of Australia and that of England. English started to take over from aboriginal languages after the country was systematically colonized by the British from the1780s. Today, English still dominates but there are some aboriginal languages that still exist, albeit only in small isolated pockets in more remote parts of the country. How Many Different Languages are Spoken in Australia? There are several other languages spoken in Australia apart from English. The way that government authorities determine what main languages are spoken in the country is from census information provided by those living in the country at the time of the census, which takes place every 5 years. Over the last 15 years there has been some change in what languages are spoken in Australian homes. In 2001, 80 percent of the population indicated that the main language they spoke at home was Australian English. By 2006, which was the next census, this had dropped to 79 percent, while by 2011 the English speaking number had decreased further to 76.8 percent. By 2016, the census showed that 72.7 percent of Australia’s population spoke English as their main or native language. This trend is due to immigration changes into the country. Previously most immigrants came from New Zealand and the United Kingdom but this trend is starting to change. Out of the 6,163,667 people in the country who were born overseas, almost one in five, or 18 per cent, had entered the country since the beginning of 2012. The 2016 Census revealed that 67 per cent of Australians were born in the country. Almost half, 49 percent, had been either born abroad, or 1 or both of their parents had been born abroad. The immigration trend has now changed to the extent that English is slowly losing its importance and other languages are replacing it. This doesn’t mean that immigrants don’t speak English, as they have to pass English tests before they are allowed to migrate into Australia. In the early stages of the life of an immigrant their native language would accompany them and would continue to be used in the family environment until children have passed through the Australian education system, where the only language used is English. Unless a language is actively maintained by the family and the country they live in the native language will start to lose its importance, but that can take several decades. The other languages spoken in the country depend on which countries in Australia people come from. The top countries are Arabic speaking countries, China, Italy, Vietnam and Greece. Second to English is Mandarin with 2.5 percent of Australia’s population speaking the language, followed by Arabic with 1.4 percent speakers; thirdly Cantonese with 1.2 percent of speakers and Italian and Vietnamese attracting 1.2 percent. Greek is also spoken too, but Greeks were early migrants to Australia and the language does not have so much importance today. Added to this percentage is the 1 percent of the population that speak indigenous languages, of which there are at least 50 languages spoken today. What Does Diversity of Language Mean to Australia? In 2016, more than 300 languages were identified as being spoken in Australian homes. More than 21 per cent of Australians spoke at home a language that’s not English Tasmania had the greatest number of people who only spoke English in the home, with 88 per cent, and Northern Territory had 58 per cent, which was the lowest. Language is something you can’t remove from people as it allows for effective communication of the beliefs and values of a particular culture. This diversity of language is an asset to Australia as it helps to foster international ties and trigger cultural exchanges. It’s useful to have people living in a country who naturally speak another language apart from the national language of the host country. They can act in bilingual situations when their skills may be needed to facilitate trade agreements or to engage in communication between countries which have diplomatic ties with Australia. They can act as interpreters or translators in court cases or in medical situations where those involved don’t have a full command of Australian English. In the later part of the 18th century, there were 250 Aboriginal social groups and they shared around the same number of aboriginal languages. By the 21st century, there were fewer than 150 Aboriginal languages still used on a daily basis. Most are today likely to disappear completely, except 13, which are still taught to children and are only found in the most isolated areas. Out of the 5 which are least endangered, four belong to the Ngaanyatjarra grouping in Western Australia who are found in the Central and Great Victoria Desert. North East Arnhem land in the Northern Territory still teaches Yolŋu languages to children as part of bilingual education programmes. Tiwi, Warlpiri, and Murrinh-patha, also in the Northern Territory, have from 1,000 to 3,000 speakers. 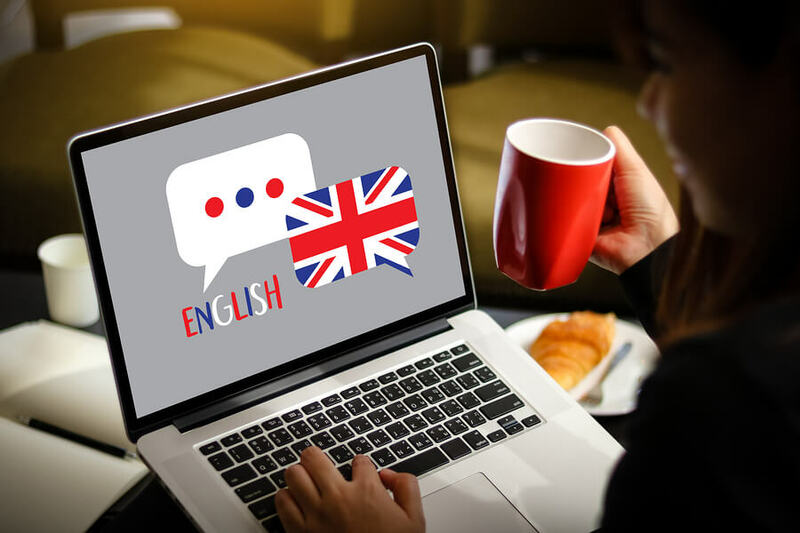 For the time being English is still the dominant language in Australia and embedded in it is Australian English, which even though is clearly recognizable as English today, it has absorbed words, phrases and idioms from North America. In fact, there are many ways that Australia resembles America, particularly in the design of its towns and cities which both follow post colonial lines and lack historical buildings and quaint villages and towns you find in England. Some Australians are quick to mimic American English they hear on mass media and words like ‘truck’ and ‘guys’ are embedded in Australian English. Australian English also has a whole vocabulary which has developed in isolation and is recognisably ‘Australian.’ While it would be pushing it too far to say that Australians speak Australian, they certainly can be recognised by their accent, which is recognisably distinctive.